The Shwaasa Guru, Swami Sri Vachananand is one of the most prominent bearers of the Indian spiritual culture and yogic discipline in the modern times. The legacy and good repute of the guru is widespread, earning him many important international figures as his disciple and follower. Beside providing life-affirming yoga lessons and illuminating the spiritual path, Vachananand has also worked tirelessly for the welfare of the backward and underprivileged of the society. His social work and philanthropy have inspired many over the countries to join the cause of wellness and humanity in the world. Born in a religious family of rural Karnataka, India, Sri Vachananand has always felt spiritually inclined. At an early age of 17, he adopted sanyasa, the path of renunciation and after, spent many days of spiritual seeking in the hinterlands of the Himalayas, practicing deep meditation and yoga. He has received formal education in the science and philosophy of yoga in Rishikesh and thereafter, gone on to receive initiation in higher wisdom from illumined sages. After completing his seeking and diksha or initiation in the hallowed lands of the Himalayas, he returned to Karnataka with a vision to spread the light of yoga and improve the quality of people’s lives with the same. He was named Shwaasa, meaning ‘life breath’, or the one who is the bringer of life-giving breath. In the year 2012, following a long decade of rigorous yogic self-practice and impactful collaborations in social projects, Vachananand founded the Shwaasa Yoga Center for yogic awareness, welfare, and peace. Located in Bangalore, the corporate capital of India, the Shwaasa foundation has contributed to bringing important lifestyle changes in the lives of busy urban-dwelling professionals for more holistic health and stability. Today, the foundation dispenses daily to weekly yoga classes at various centers in the city. Classes are also available as part of corporate programs for boosting the morale of the workers and to enhance the quality of working life. Apart from providing the discipline and structure for practicing yoga every day well within the schedule of a typically competitive and demanding modern lifestyle in one of the busiest cities in the world, the Shwaasa institute also has many certificate courses for the yoga-minded careerist who would like to engage in yoga teaching and entrepreneurship. Each Yoga Teacher Training course by Shwaasa is 1-2 month-long residential learning program conducted in exquisite locations in India and abroad. Comprehensive yoga course curriculum, clean and peaceful yogic residential life, cleansing sattvic yogic meals, cultural tourism, practicums, workshops, and community living with like-minded yogis, make up the scope of yoga teacher training courses with the gifted teachers of the Swaasha Foundation. With Shwaasa, yoga in Rishikesh-the world spiritual capital, at Pokhara, Nepal- in the hallowed land of the Buddha, Kerala- along with the sea, and Thailand- the land of smiles, feature vibrantly. For those who are not particularly interested in the prospect of teaching yoga in the future, or in the technical field of yogic discipline, there are options to go on retreats by Shwaasa. Corporate Retreats as part of employee wellness programs for various companies, Himalayan Yoga Retreats with the Shwaasa guru for the experience of soulful meditation in the mountains, Kung Fu Yoga Retreat for a hybrid martial arts and yoga training, are some programs that have found immense popularity. Inspiring more yoga-minded individuals to join the movement of wellness and deeply-rooted spirituality and to duly honor those who are on the path already, Shwaasa has launched Yoga Ratna Awards for yogic excellence. 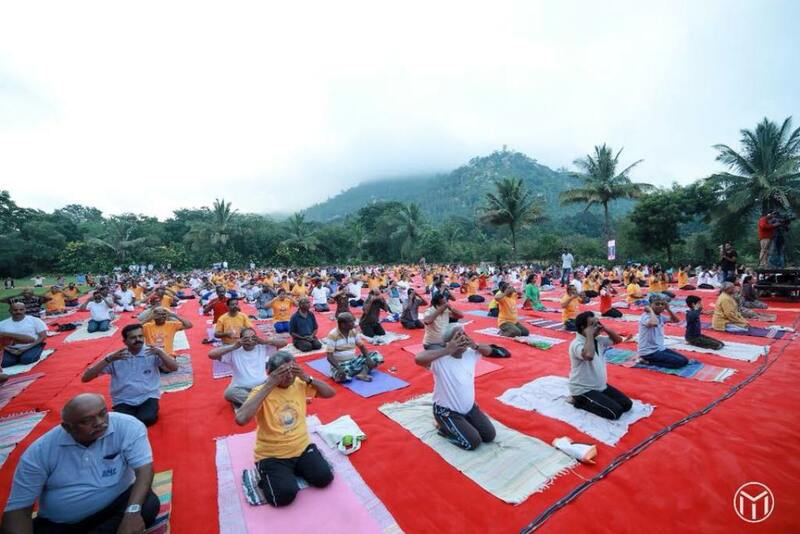 The ceremony of this prestigious award distribution is conducted on every International Yoga Day at Bengaluru at the behest of the Guru Shwaasa, an event that has become a milestone in itself in the history of the yoga world. Shwaasa guru provides yoga teacher training in india. He has been practioning yoga from last 7 years. His strong connection with yoga and the Himalayas has made him organize yoga, meditation and Ayurveda tours, and Spiritual retreats in the Himalayas.